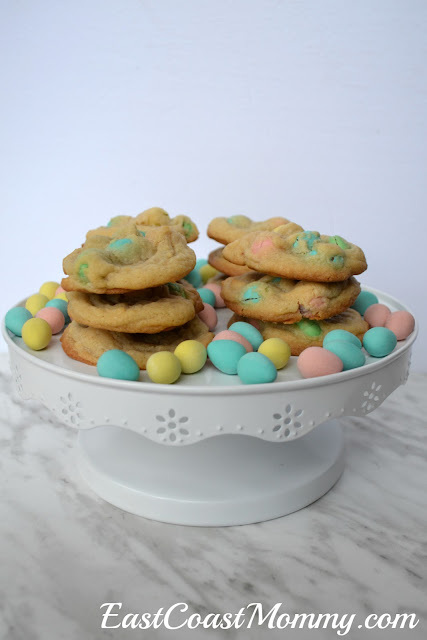 One of my favourite cookie recipes is for my soft and chewy chocolate chip cookies. So, for Easter, I thought it would be fun to add a festive twist to this classic cookie. 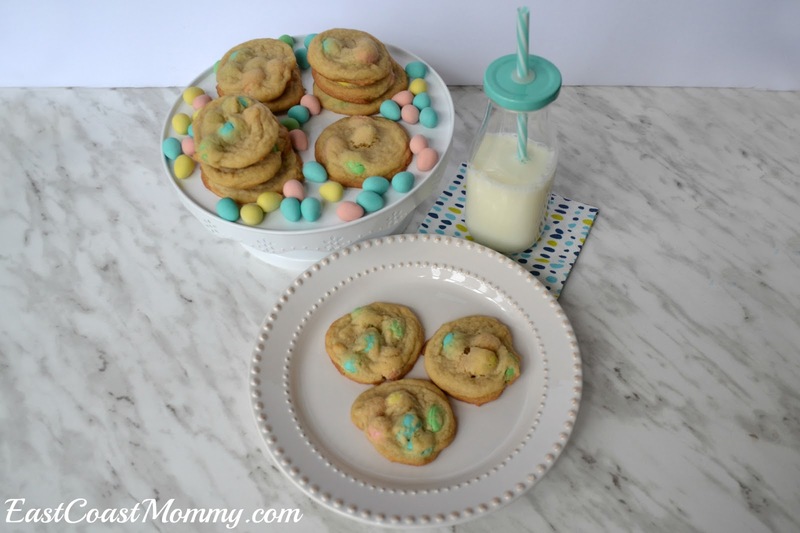 Today, I am sharing a delicious (and simple) recipe for soft and chewy mini egg cookies. 2) In a medium bowl, whisk together the flour, baking soda and salt. 3) In a large bowl, use electric beaters to combine the butter and sugars. Then, add the eggs and vanilla, and beat until light and fluffy. 4) Use a wooden spoon to mix the wet and dry ingredients together (just until combined). 5) Gently stir in mini eggs. 6) Drop tablespoon-sized balls onto a Silpat or parchment lined cookie sheet. 7) Bake for 8-12 minutes. Don't these cookies look fantastic? And they pair perfectly with a nice hot cup coffee or a cold glass of milk. 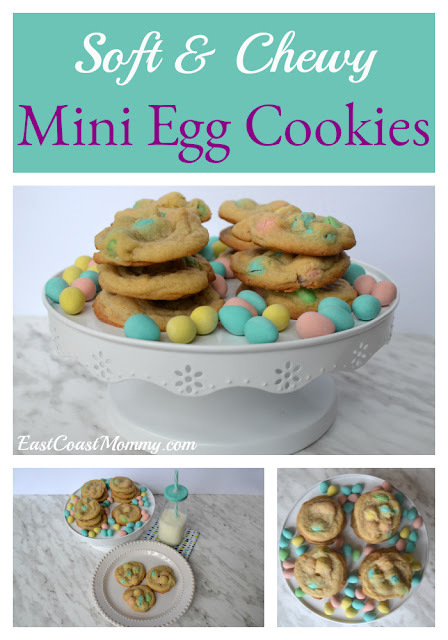 Are you a fan of mini eggs? 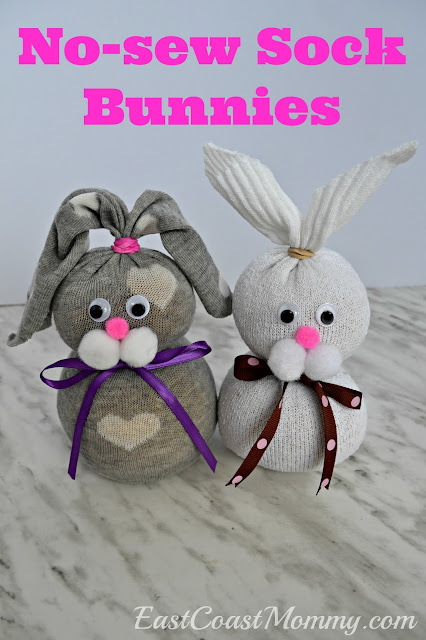 I love to use them in my Easter baking. They taste great, and the colours are so pretty! 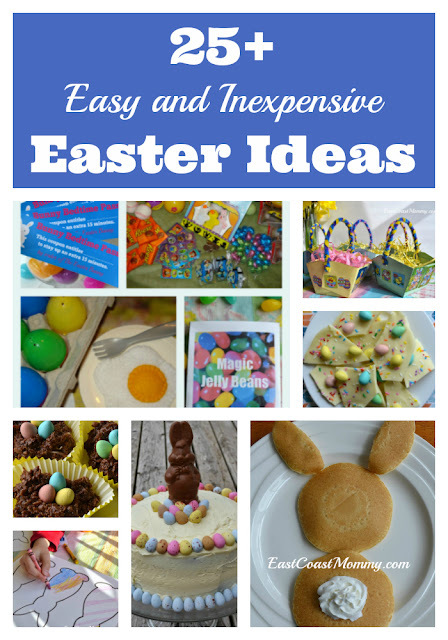 Find more Easter Ideas HERE. 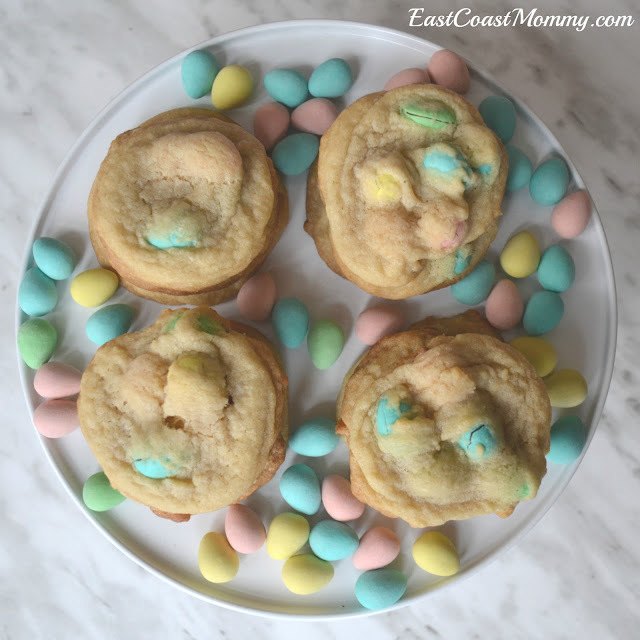 I plan to make these pastel-accented cookies though I'm not sure about the "mini eggs" candy ingredient. They remind me of (seasonal) pastel candy-coated M & M chocolates but the similarly sized mini eggs are oval. I know the M & Ms would work fine. Just curious ... are the mini eggs chocolate inside (or something else)? Thanks, ~Claudia in coastal California P.S. 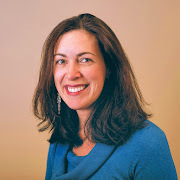 Your info-packed web site/blog is nicely done! Do you think I could swap the flour with almond flour? I'm not sure, as I've never baked with almond flour. This is like a chocolate chip cookie batter. Have you ever tried almond flour in chocolate chip cookies? If it works there, it should work here.